An Albanian from Macedonia has thrown acid on the face of his Romanian girlfriend and then stabbed her in the abdomen for jealousy. The event took place on the evening of November 17 in the premises of a restaurant in Civitanova Marche, as Sheval Ramadani pushed out of jealousy, threw acid on the face of his girlfriend, then pierced her with knife in the abdomen, Italian media say. The 32-year-old went to Court and has regretted his action, but the Court decided to leave him in prison. "She was sending pictures and messages to others, talking to others. It was a momentary gesture, I did not sow, everything became black to me,"says Ramadani. The Romania which worked as ballerina at a night club, conducted an emergency operation and is now out of danger for life. She, going through emergency surgery, is still in a private prognosis but is no longer at risk for life. 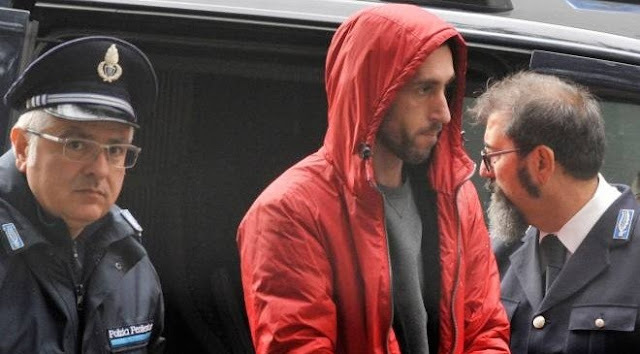 During security inquiries, in the presence of lawyer Sandro Pugliese, the 32-year-old asked for information on the condition of his fiancé. Sheval Ramadani is an illegal immigrant in Italy, an agricultural worker residing in Grosseto, and explained that he had always the knife with him. He had bought a bottle of acid, and tried to throw it on the face of his girlfriend, but only managed to harm her left eye. Ramadan has confessed that he left his wife and children in Macedonia for the ballerina and was helping her with money so that she could give up her kind of job. The fact that she worked at a night club brought difficulties in their relationship, especially in the presence of other people.